In 1994, after a lengthy and fine career, Aretha Franklin was on the decline. Robert Clivillés and David Cole however were at their prime. At the time, dance was hot, soul was not. With hindsight, it seems only logical that the latter would be hired to come to the aid of the former. 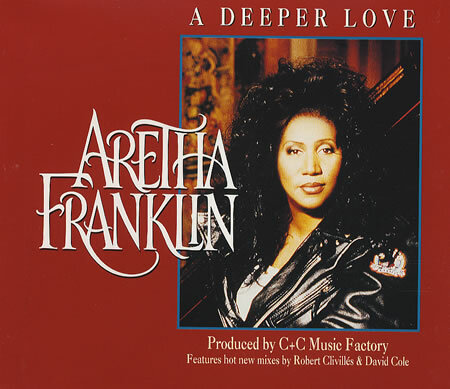 Surprisingly, it wasn't a new song that Aretha was to sing, but a cover version of a Clivilles & Cole song that had already had its share of success in 1991, "A Deeper Love". The dance crowd knew it well already, but Aretha's fans probably had no idea that this was an old track being given a second lease of life. 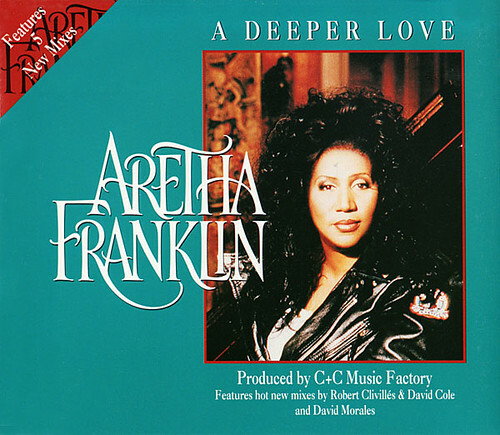 Although the C&C mixes of the two recordings of A Deeper Love are well known (pretty much legendary even) I didn't realise at the time that there was also a CD-single of Morales mixes released after the main ones. Even after having discovering them on the Finest Def Mix blog, I wasn't immediately bowled over. A year on, it finally dawned on me that the lesser known Morales mixes are at least as worthy of praise as the C&C mixes. It can't be easy trying to breathe new life into the second recording of a track that has already been definitively remixed every which way. I found a copy of the CD-single on the web, and decided to make my own long version by fusing three mixes together. At the time, I didn't realise exactly how long it would be - over 22 minutes! I really extended the bonus beats at the beginning (there's isn't even a kick until two minutes in) and there's no trace of Aretha until the four-minute mark. I like the idea of the track starting off like some sort of unidentifiable ambient monster. The main Morales mix was already pretty long, and although the dub that I've added to the end of the vocal mix doesn't have a lot of new things to say, hopefully my extension doesn't get dull. Either way, I think my transitions between mixes are pretty elegant. Check it out for yourself. Once again, these mixes are utterly unavailable as legal downloads, so I don't feel too bad making my take on the track available. You can download my 22-minute version of Aretha Franklin's "A Deeper Love" (Deftramental/Bad Yard Club/Bad Yard Dub Fist fusion) (42MB) by clicking the download button on the player above. Very nice indeed. I actually preferred these Morales mixes to the original C&C ones. The fact its a long edit isn't a problem either. All the better for it i say!